On April 30th, Picture Palace music performed a concert at Ballhaus Naunystraße (Berlin). 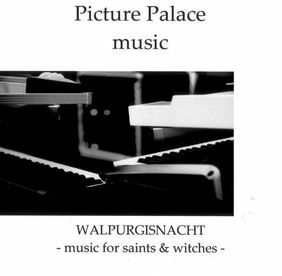 On this occasion the band released the EP Walpurgisnacht on CD-R, containing the new composition Mandrake Flight as well as four outtakes from the soundtrack for the silent movie Nosferatu -- eine Symphonie des Grauens which had not made it to the album release Symphony For Vampires (2008). Hence, this EP is a nice addition to that album. In August 2009 the EP became available as download from the PPM web shop as well.